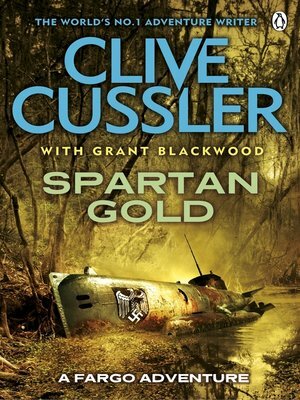 Clive Cussler introduces Sam and Remi Fargo in Spartan Gold. An ancient treasure stolen by Xerxes the Great . . . Discovered by Napoleon Bonaparte . . . The clues to its hidden location lost until now . . . Adventurers and treasure hunters Sam and Remi Fargo are on a wild-goose chase. Up to their waists in the Great Pocomoke Swamp in Maryland, they're hunting for lost gold. What they find instead is a small Second World War German U-boat. Inside the submarine they find a body - and a puzzling, incredibly rare bottle of wine. This bottle was one of twelve taken from Napoleon's 'lost cellar'. But it is also a clue to a fabulous, ancient treasure. One that Hadeon Bondaruk - a half-Russian, half-Persian millionaire - will do anything to get his hands on. For he claims descent from treasure's one-time owner. It will be his, no matter who stands in his way . . .
Clive Cussler, author of the celebrated Dirk Pitt novels Arctic Drift and Crescent Dawn, presents his newest series, following the adventures of treasure hunters Sam and Remi Fargo - beginning with Spartan Gold. The bestselling grandmaster of adventure, Clive Cussler, has thrilled millions of readers with this gripping, fast-paced stories of treasure-hunting, action and conspiracy. As well as the Fargo series there are also the NUMA and Oregon Files series, the Dirk Pitt stories (which started it all) and the Isaac Bell adventures series. The Fargo Adventures series continues with Lost Empire and The Kingdom which are both available from Penguin.